A family law attorney since 1970, Ed Sherman is author of ten books, partner in Sherman, Naraghi, Woodcock & Pipersky, and founder of Divorce Helpline, which he left in 2007. 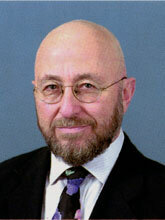 He started Nolo Press in 1971 with his famous book, How to Do Your Own Divorce in California. Since then, his books and software have saved millions of people billions of dollars in unnecessary attorney fees, not to mention unnecessary pain, by helping them get better divorces. His clear, practical advice makes divorces go more smoothly and with much less emotional and financial cost. With over a million books sold and over 35 years’ experience, his proven methods can make your divorce better too. Since 1971, the leading publisher of self-help law books. Nolo Press was started by two Legal Aid lawyers who were fed up with the fact that the average person couldn’t find affordable legal information and advice. Convinced that Americans should have direct access to their own legal system, and certain that the average American can handle routine legal problems without hiring an attorney, they began writing plain-English law books for non-lawyers. Today, they operate two separate and independent Nolo Press companies: our own Nolo Press Occidental, located in Santa Cruz, and Nolo Press in Berkeley. Together, the two Nolos publish more than 140 books, software, legal forms, audio and video tapes. We are proud that Nolo products have helped more people take care of their legal matters than any lawyer or law firm in history. Nolo Press Occidental is responsible for the products featured on this website. A larger list of Nolo Press self-help law products can be found at www.nolo.com.